A present from my Mom, originally uploaded by academy252. When we were home my Mom broke out a present she did now want to wait until Christmas to give me. These are little bitty measuring spoons. 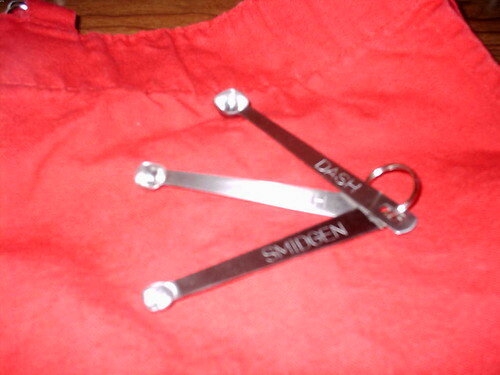 They read "smidgen," "pinch," and "dash". I LOVE THEM!! !